What temperature do you run your air conditioner? 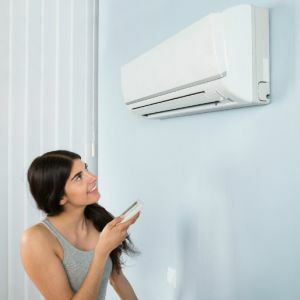 Most of you reading this probably set it around the mid-twenty degree mark in summer and high teens in winter – but how much is that costing you, and can small changes to your air conditioning habits actually save you money? In this article, Canstar Blue looks at the ideal heating and cooling temperatures for your home, as well as how much this could possibly be adding to your electricity bill. What temperature should you set your air conditioner? A standard air conditioner’s temperature should be set to 25 to 27 degrees for cooling in summer, and around 18 to 20 degrees for heating in winter. This is to ensure maximum energy efficiency from your unit. Keep in mind that these temperatures assume you live in a moderate climate, but as we all know, Australia is a land of many climates. Using average temperature figures, the below table provides a general indication of what temperature your air con should be set to in summer and winter depending on your location. What the above table essentially suggests is that air conditioners will have to work harder to offset harsher climates. Those living in warmer climates should set their air con cooling temperatures a little lower, while those living in cooler climates should set their air con’s heater a little warmer. How do temperature settings affect air con costs? The harder your air conditioner has to work, the more electricity it will consume. That means the lower you set the temperature when cooling and the higher you set it when heating, the more you’re adding to your power bill. Assumes 28.479c/kWh electricity usage rate. The difference in hourly air con running costs across various temperatures might look relatively minor, but it can certainly add up. Take the following illustration. Krystal can’t stand summer, she much prefers the cold. Krystal uses her 6kW cooling capacity split system air conditioner every evening for 5 hours throughout the summer months. Her air con temperature is always set to 21°. Using the earlier table, we see Krystal’s air conditioner usage will cost her 50c an hour, or close to $2.50 per day. If she leaves her air con running like this for 90 days of summer, it will cost her $225 on her next quarterly bill for air conditioning alone. Now, if Krystal instead set her air conditioner’s temperature to 24°, that would cost her 13c less per hour (37c). Her air conditioner usage would now only cost $166.50 over summer – a saving of $58.50! What is the right sized air conditioner for your home? An air conditioner should generally have at least 80 watts of output per square meter of room you intend for it to cool or heat. 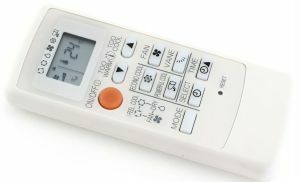 If a room is larger than the air con was designed to cater for, then it will be less effective at controlling the temperature – while your remote control might say the air con is set to cool to 24°, the room temperature might actually be 28°. Conversely, if your room is too small for the air conditioner, the air con will over shoot the temperature that you intended to set it to. Below is approximate guide to ideal air con capacities given the room size. Also keep in mind the ceiling height of the area you’re looking to heat/cool. The higher the ceiling, the more powerful of an air conditioner you will need. If you’re unsure about what size air conditioner you need, seek a professional quote. If you’re concerned about air conditioning costs, you might want to take the time to compare electricity plans. Follow the links below to compare the cheapest deals on our database. Sealing and insulation: If the space you’re trying to heat or cool is poorly sealed or insulated, your air conditioner will have to work harder to reach the temperature you have set (i.e. if you’re trying to cool your home down to 24°, you may have to set your air conditioner’s temperature to 20°). As we’ve seen, this can be costly. Energy efficiency: It almost goes without saying that you should try purchase an energy efficient air conditioner. An air conditioner will have a label with two star ratings. The blue one represents its cooling efficiency rating, while the orange one is for heating efficiency. In another article, Canstar Blue shows how much an energy efficient air conditioner might save you. 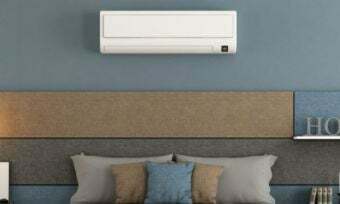 Alternatives to air conditioning: While we have shown that using an air conditioner on lower settings can save you money, not using the air conditioner at all will save you more. Ceiling fans and pedestal fans have considerably lower running costs than air conditioners. Also consider if solar air conditioning could be right for you. The take home message from this report is that understanding how your air con temperature impacts your power bills is key to keeping costs under control. However, you should also keep in mind that, the higher price you pay for power, the more keeping cool will cost you. If you haven’t reviewed your energy plan in a while, you are likely paying too much.